This week has mostly been spent unpacking and starting to puzzle piece the apartment back together. 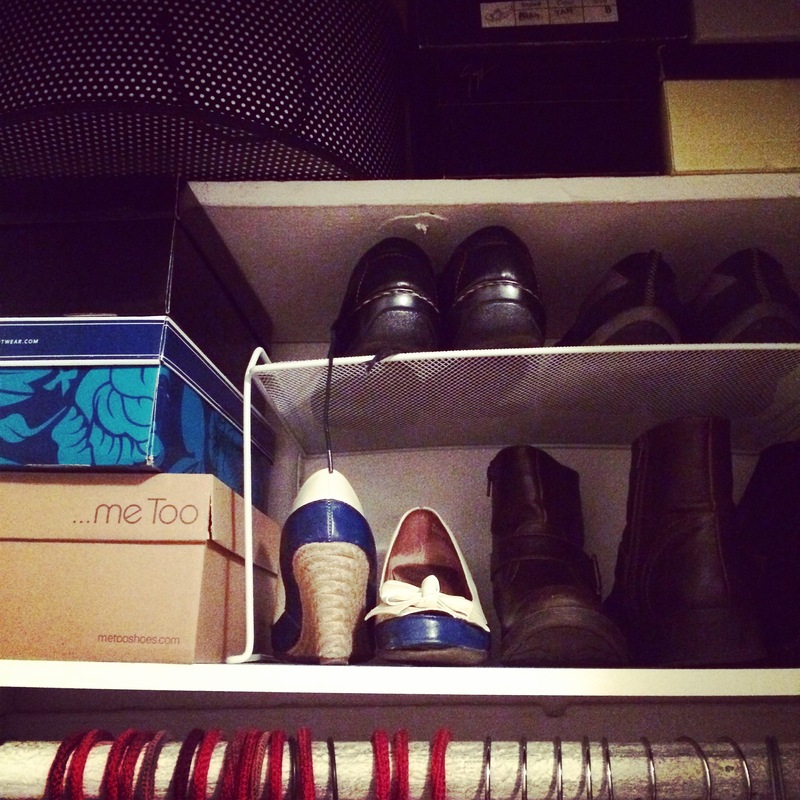 Some highlights: Shoes have taken over my closet, at least they left space for my polka doted hatbox. 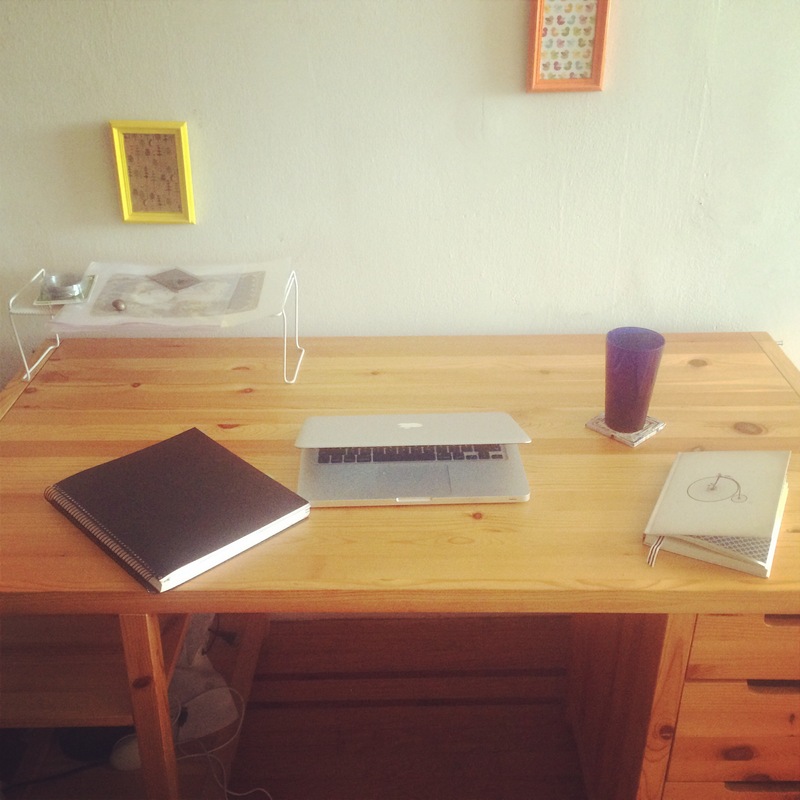 My, now, oh-so-spartan desk. 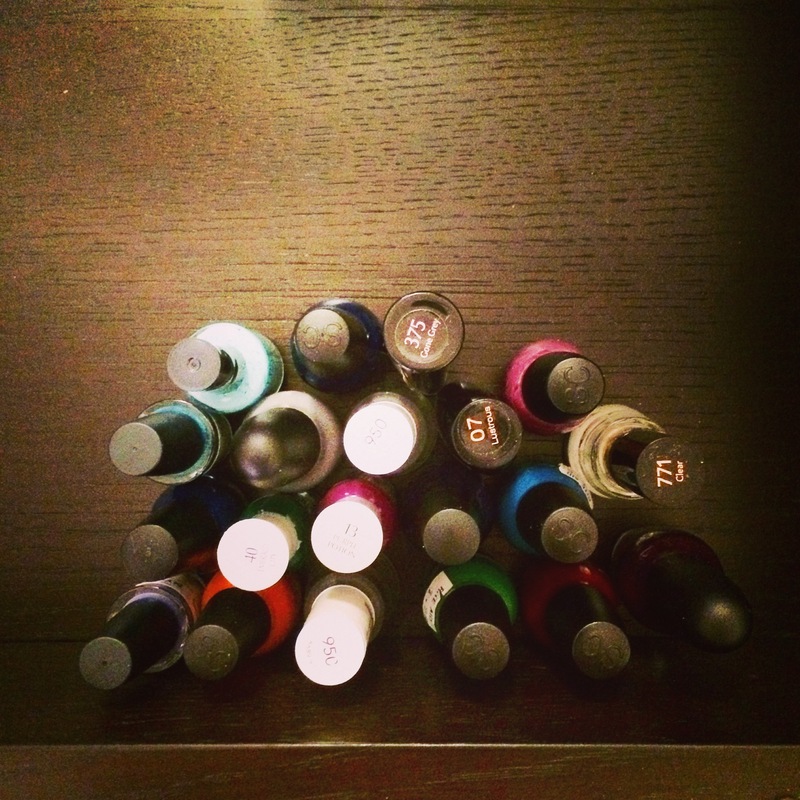 And a crazy amount of nail polish that I don’t remember amassing. I’ve done no knitting. But I did pull out some fiber and do a little spinning last night. That way there would be something fiber related in this post. 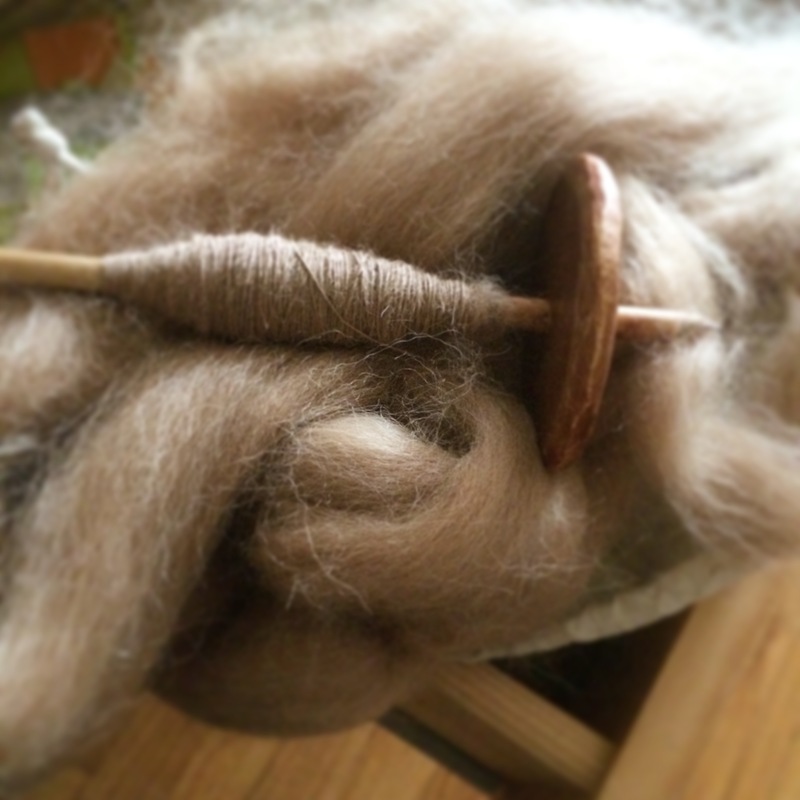 This is a beautiful camel colored 100% alpaca top, that I’m spinning into a 2ply lace weight. It was a gift and unfortunately I don’t know the company. But I’m loving working with it. Here’s to more knitting next week. Lovely spinning! glad life is slowly getting put back together.